Do you want more Facebook Likes? Do you need to generate more email leads? Are you looking to gain immediate sales through Facebook promotions? Contests, Facebook Sweepstakes and coupons have long been a part of good marketing methods. They can help to promote a business, engage with customers, and increase sales. Add them to your social sites like Facebook and you can have a massive marketing success for your business. Most businesses now are using social promotions like contests, Facebook Sweepstakes and group offers on Facebook. To know how to run a sweepstakes or other types of contest is not complicated. Add a little good old planning to your campaign, and a well executed contest can make your Facebook Page go viral, your brand engaged with and your products fly off the shelves. What’s the purpose of your Facebook contest campaign? Whether you’re a one person business, a mid-sized company, or a multinational organization, knowing the reason for your Facebook contest will get you focused on your needs, and produce more successful results. There are tons of reasons why businesses choose to run a Facebook promotion. More engaged and loyal Fans? Greater insight into your Fans’ likes? More traffic to your ecommerce store? All of these, and even a little more, can be attained through Facebook contests. Once you have your goals, develop your objectives for your promotion. This document will give you benchmarks for achieving, and measuring your successes. Obtain 1,000 new Facebook Fans by week two. Get 3,000 entrants by week two. Increase Fans talking about your page by 1,000% by week two. Write these benchmarks down, so you know what your company, or marketing department, needs to achieve. As in any marketing success, you need to know who your market is. Many business miss this step. But, how can you really connect with your consumer if you don’t even know who they are? You can spend a lot of time, or a little time on understanding your buyer personas. Determine the budget for your campaign. You need to know how much you can spend to make your contest a success. This will influence your prize, how you can promote it, the staffing power you have, online tools you can use (including apps) and lots more. Whether you are setting your own budget, or your company or marketing department does, make sure you stick within it. It’s business, and you’re in it to make a profit. 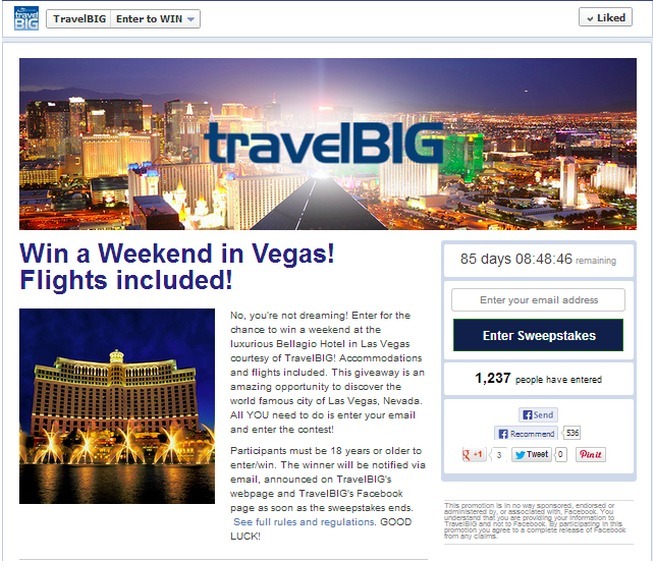 There are many types of contests, sweepstakes and group coupons you can run on Facebook. Before you jump in, choose the one that’s right for you, for the particular contest you’re running now. To get new Facebook Fans, or to increase your email list, then a simple Sweepstakes is best; it poses a low barrier to entry, they’re fun to win, and you’ll get more entrants. To make immediate sales, then a group deal or coupon will encourage your entrants to buy your discounted product right away. To get more engagement through user-generated content (ugc), then contests, such as a photo, essay or even video contest may work best for you. The prize is key to your contests. Choose a prize that both markets your business or products - and that your consumer will like, and be motivated to enter. Make sure your prize is in budget too! I have seen so many contests flop because the prize either didn’t market the business, or it simply wasn’t enticing enough. Don’t give away an iPad, for example, just because lots of people want them. You won’t attract a market that’s going to keep interacting with you, or even care about your business. A gift card for your business (or even a partner’s business). A product you sell (ok, if you happen to sell iPads, then a iPad is enticing). An experience money can’t buy (such as the chance to be your ‘Fan of the week’, or a lunch with your CEO). This will attract participants who are interested in your company. It will also get you achieving your overall business goals to market your brand and products. When choosing a prize, you want to keep your contest goals in mind. To promote a new product, give that product away as your prize, or as part of your grand prize. Before you start your campaign, you need to know the duration of your contest. I’ve seen a lot of success from companies who run weekly contests. It develops momentum for a new event every seven days. Running your contests consistently also gains traction for your Page. I’ve also seen a lot of success from contests that are run for a month. This allows you to market through your social channels, gain lots of awareness and get the most out of your prize giveaway. Anything more than a month tends to diminish interest and motivation in a contest. You need to judge your time frame and frequency based on your business needs. You want to determine how your participant will enter your contest. Do they need to Like your Page to enter? Do they need to submit an email to enter? Do they need to answer a question, or submit a photo or video? When you run a contest on Facebook, make sure you’re adhering to its explicit guidelines of running a contest. Note: When you use a third party app like Wishpond’s, the application will include all of the necessary pieces and disclaimers, so you don’t have to worry about them. You must have a written disclaimer stating that the contest is in no way associated with Facebook. You cannot use a Facebook feature as an entry method – so even if the contest is housed inside of an app, you cannot have a person click a Facebook Like button to enter. Facebook contests must be housed within a tab or app. You cannot, for instance, run a contest in which people must write something on your Facebook Page’s wall, comment on your status update or Like a picture. They must enter inside of an app. Read the entire Facebook Guidelines for a complete understanding of contesting within the rules. Also, be sure your own contest guidelines are ok with the laws in your jurisdiction. Once you’ve got your contest details worked out, it’s time to design the look of your promotion. Depending on the type of contest you run, your app, and the features you want will determine the types of designs you need. Your design might range from a simple image for the contest to more advanced graphics and customized CSS. Good Like-gated graphics include an easy to see Call-to-Action, to Like your page. Use clear visuals like arrows in a contrasting color to draw attention to your contest. 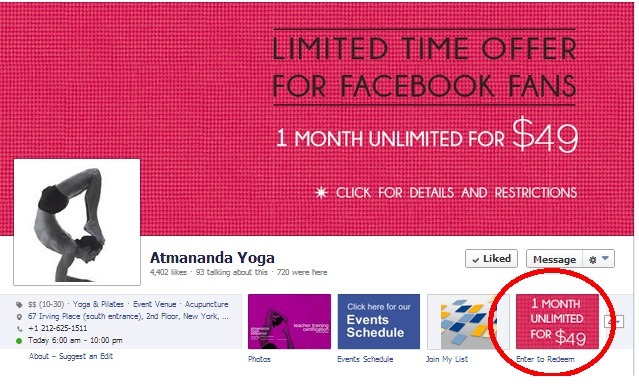 Tip: Make sure your arrow points to your “Like” button! Most apps will have a default contest icon for your Page. Decide if you will use this standard icon, or if you will design your own. If you’re making your own, have it ready before your contest start. Tip: Keep the app icon simple (you’ve only got 111 x 74 pixels), keep it branded, and include limited but specific words. 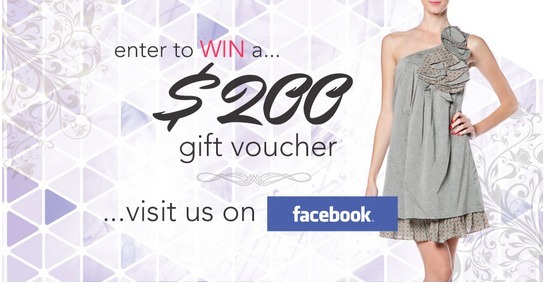 If you are going to be marketing your Facebook contest on your website, design a custom banner to make it enticing for your website traffic to visit your Facebook Page. After having understood how to run a sweepstakes you need to know if it will be a success. Plan out how you’re going to measure your results before your promotion starts. List out your Key Performance Indicators (KPI’s). Your KPI’s are the actual numbers and stuff you can use to show your ROI. They will depend on your objectives. Measure: number of entrants to your promotion (including existing Fans); monitor the numbers daily or hourly. Measure: numbers of people “talking about your page” by using Facebook analytics; measure the numbers before, during and after the campaign. Using a third party app, like Wishpond, you can get tons more analytics, like customer reach, potential reach, customer demographics (so you can tweak your contest and marketing as the contest runs), and more. If you’re not using a third party app that has decent analytics, determine the tools you’ll use to measure your promotions’ ROI. It’s a smart idea to have your promotional plan ready to go before you dive in to the actual contest. Keep in mind that - if you’re a good social media marketer - you’ll likely tweak it along the way based on the measurements of your contest.. Put out teasers on Facebook to generate interest before the contest starts. Market it on Twitter, your blog, and other social sites. Draft out a few posts. Market it on your website. Do you need a banner? Promote it through email. Draft out a few emails for the pre-contest, contest and post contest phase. Market it to local media, like newspapers, radio, TV, or through prominent local bloggers. Do you have communications, like a press release, in place to send out? Advertise on Facebook to give your contest a boost. Design your ads. Advertise on Google, Twitter or niche websites. What will this look like? Do you know your niche websites, or do you need to do some research? So, now you are armed with a good solid foundation for your Facebook promotions. The next step is to execute! What do you think? What have you achieved with Facebook social promotions? Do you have any more tips about planning for your social marketing campaigns?